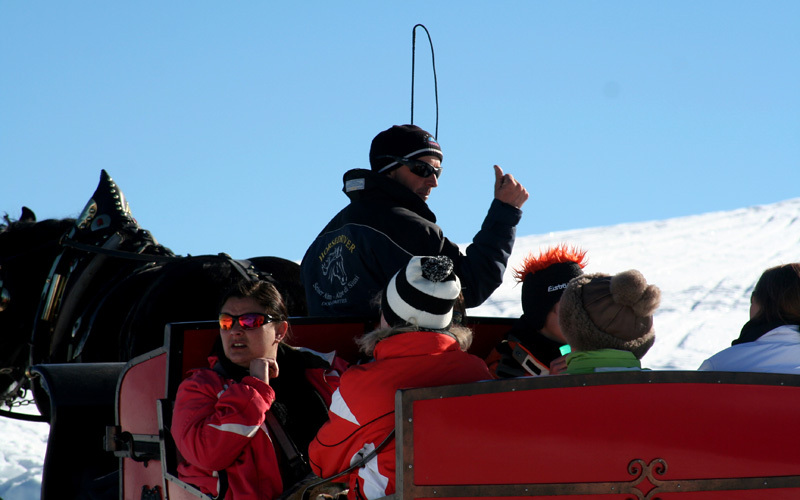 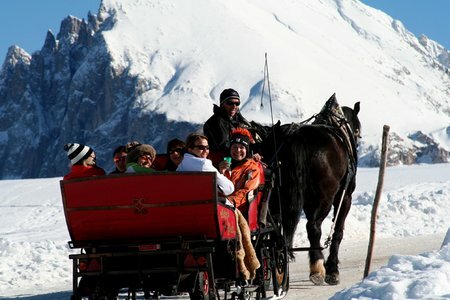 Unique views over the Dolomites, the vastness of Europe’s largest mountain plateau, the sunny winter days… discovering the Seiser Alm in the Dolomites on a horse-drawn sleigh ride is a promise of relaxation at its very best. 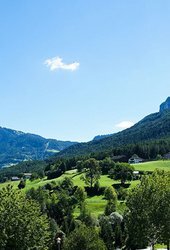 The trip begins at the Alpe di Siusi Information Office, just a very short walk away from the Alpe di Siusi cable car mountain station. 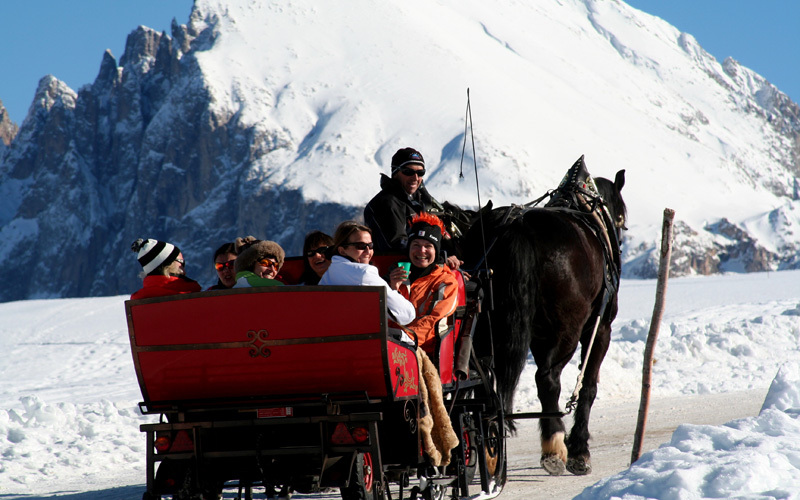 Wrapped in a warm blanket and warmed by the rays of the sun, you will experience all the peace of nature and all the romantic atmosphere of the magical winter’s landscape. 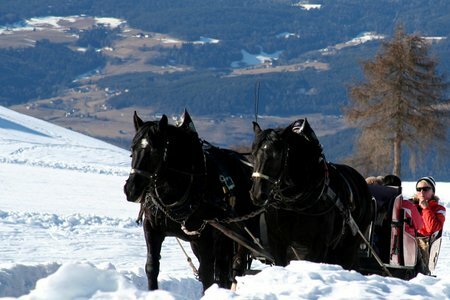 And if you happen to be in love, a horse and sleigh ride suffused with romantic moments and cosy intimacy will be a memory to cherish. 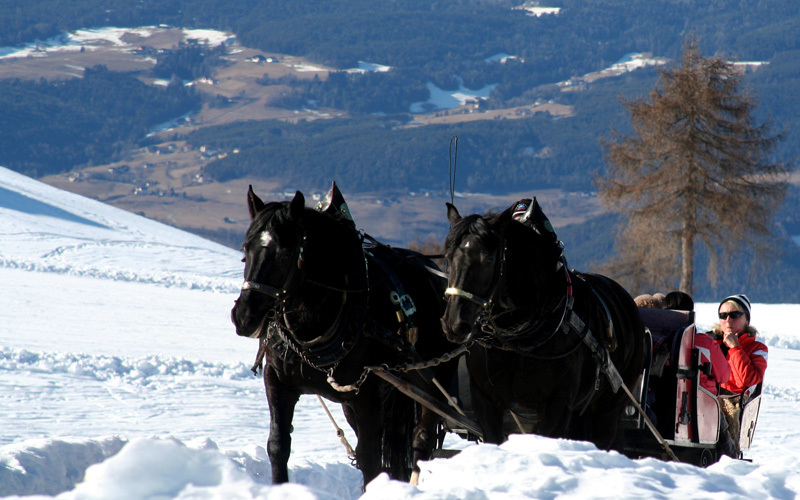 Winter fans will love a horse-drawn sleigh ride, with the rhythm of the hooves and bells tingling on the Haflinger’s bridle to accompany you on your way over the deep snows of the Seiser Alm in the Dolomites.